Boxing champion Amir Khan put aside his gloves to lend a helping hand to flood victims in Cumbria. 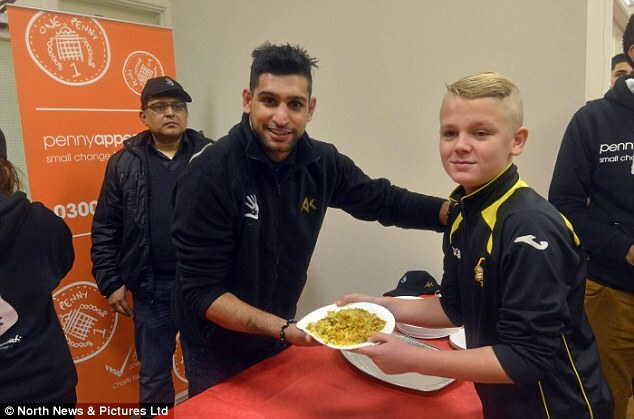 Khan, 29, led volunteers from his foundation and the international humanitarian charity Penny Appeal to provide moral and practical support as he toured Carlisle. 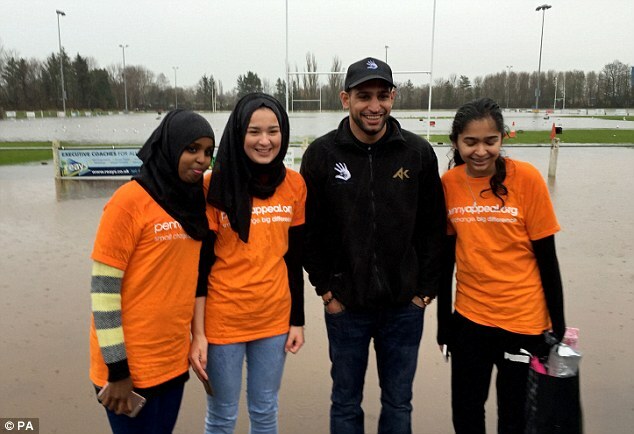 The welterweight champion and former Olympic silver medallist first met volunteers from Greystone Community Centre which acted as a reception centre in the wake of the floods to provide hot meals and accommodation for those forced to flee their homes. Khan and his team of helpers then answered a desperate call of help from Muriel Boyd, 68, who needed some manpower to shift a washing machine and fridge back downstairs into the kitchen of her granddaughter’s home. He met troops of the 2nd Battalion Duke of Lancaster’s Regiment who are assisting with the ongoing clean-up which overnight will see the soldiers together with staff from Carlisle City Council remove flood-damaged items. Next stop was the Kinder Park Nursery in Warwick Road where Christmas presents were handed out to children. Owner and manager Joanne Routledge told the Bolton-born fighter that lessons had been learned from the last deluge and she was “very optimistic” that it could re-open in the New Year. He later added: “It’s very sad to see that people have had to leave their homes and all the furniture has been taken out of their houses and the floods have destroyed all the homes, the kids’ toys and everything else.